The topic of intangible natural heritage is new, recently emerging as an important subject of inquiry. It describes the untouchable elements of the environment that combine to create natural objects, and help define our relationship to them. These elements can be sensory, like auditory landscapes, or processes like natural selection. As a concept, intangible natural heritage is growing in prominence, as museums are increasingly charged safeguarding and interpreting the milieux from which their objects originate. 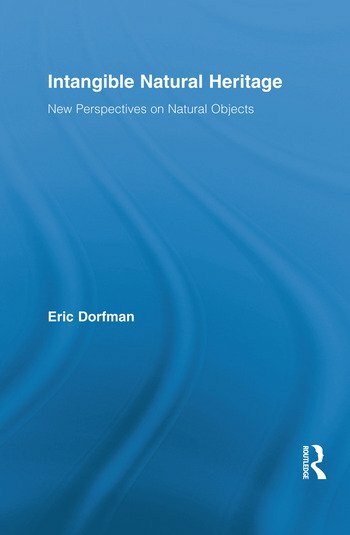 This book is a significant advance on the subject of intangible natural heritage; no book on the topic has yet been written and current scholarship is confined to a few isolated papers. As such, there exists a wide variety of perspectives on the topic. Intangible Natural Heritage presents a spectrum of opinion, making the first attempt at a unifying concept on which future work can be based. Authors from Europe, Asia, Australasia, Britain, and North America, address topics on scales from minute insects to sweeping landscapes. The common thread in these explorations is the importance of human relationships with nature that is passed down from generation to generation. In a world that is becoming increasingly fragile, recognizing and fostering these relationships has never been more vital. Eric Dorfman is Director of Whanganui Regional Museum in New Zealand. He has written a number of books on the natural sciences (e.g. Inside New Zealand’s National Parks, 2008), and a laypersons’ look at climate change, (Melting Point, 2008), as well as short children’s fiction (Der Abscheid).